We only ship weekdays. No shipping is available on weekends. If you place your order AFTER 4.10PM EST by choosing a Fedex Shipping option, expect your order to ship the following business day. If you place your order AFTER 1.30PM EST with a USPS Shipping option your order will also be shipped the following business day. If you order after these aforementioned times on a Friday with either FEDEX or USPS, your order will be shipped on a Monday. The day we ship your package does not count as a shipping day. Most packages will go out the same day if received by 4.10pm EST Monday-Friday but if you choose the Priority Mail service or the free shipping options it is possible that your package will ship the following business day. 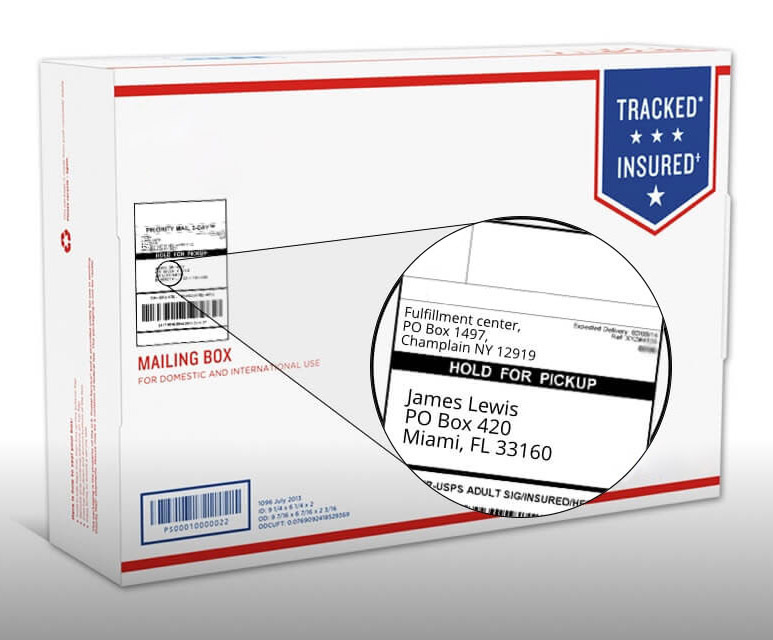 If you choose the Priority Mail (USPS) service or the free shipping (which ships USPS Priority) options, please note that Priority Mail is the lowest shipping service available and it's not a guaranteed delivery service. The transit time on your website is given as an indication only and does not mean you will receive your parcel on the specified day. Depending on your location the average delivery time for Priority Mail services is 1-3 days which means you don't count Sundays or holidays. All PO BOX, APO or FPO must use a USPS Mail service. Once your order is in 'warehouse status' if you cancel your order you will be charged a 15% restocking fee. Once your item is considered in 'shipped status' we are unable to cancel or change your order. All FEDEX packages require delivery confirmation if no one is home at the time of delivery the item will be carded for pick up at your local post office. ALL FEDEX OVERNIGHT orders received after 4.10pm EST Monday to Friday will ship the following business day. Saturday and Sunday are not considered shipping days for the purpose of transit. FEDEX will only deliver on business days during the week Monday through Friday. All FEDEX packages require a signature upon delivery, packages cannot be left at the door should no-one be available to sign for it at the time of delivery No shipping refunds will be given for delays resulting from adverse weather conditions or other delays beyond FedEx's control. Therefore there is always a slight risk that you may not receive your parcel on time. Depending on the reason of such a delay, you may or may not get your shipping fee refunded, it all depends if the late delivery is covered under FedEx's on-time delivery guarantee. If you are not able to receive your package for whatever reason and will not be available to sign for it at the shipping address you provided, you can choose to pick it up at your nearest Fedex Office instead. Please check on the Fedex.Com for the address of your closest Fedex office and use this address as your shipping address. *Please note, if your package is delayed as a result of choosing this pickup option, you will not be eligible for any late delivery related claim or refund. FEDEX orders received by 4:10 pm EST Enjoy Same Day Shipping! USPS (Postal Service) orders received by 1:30 pm EST Enjoy Same Day Shipping! USPS First Class Mail International *Also the Free Shipping option but only available with coupon on orders over $135* (2 weeks or more not guaranteed) Please be advised that NO TRACKING is offered or available for this shipping option. Please Note: All orders are shipped in plain, unmarked packages. Nowhere on the package does our logo or our company name appear and there is no way for anyone to know what is on the inside when shipping within the USA. All international orders will require custom documents. * We ship from New York state USA. FEDEX observes a number of Federal Holidays and therefore shipments processed or in transit during those holidays may incur a delay. Please be sure to call to confirm delivery time when placing orders before or during holidays. No shipping refunds will be granted if delivery was delayed during a holiday period. Deliveries delayed due to Acts of God, weather conditions, environmental or dangerous goods incidents, perils of the air, public enemies, public authorities acting with actual or apparent authority, application of security regulations imposed by a government or otherwise applicable to the shipment, acts or omissions of customs officials, authority of law, quarantine, riots, strikes, work stoppages or slowdowns, or other labor disputes or disturbances, civil commotions or hazards incident to a state of war, local or national disruptions in ground or air transportation networks or systems due to events beyond FEDEX/USPS' control, disruption or failure of communication and information systems, disruption or failure of utilities, or any circumstances beyond shipper’s control will not be granted any shipping (full or partial) refunds. It is always the responsibility of the purchaser to ensure that they have the necessary paperwork to allow importation to their respective country. While we can not be held responsible for any kind of customs issues or fees we will do our best to work with customs by providing them with the necessary paperwork. As of March 21st, 2017, all product sales are final. Products may not be returned for a refund. 1 - Product exchanges will be accepted within 30 days of receipt of your package. 2 - Anything over 30 days automatically becomes non-exchangeable. The customer is responsible for all shipping charges related to the exchange unless Clear Choice made an error with the order. We suggest that you verify the expiry date found on the packaging of your product(s). All Clear Choice products have an expiry date printed on them with the exception of the HFS shampoo. We guarantee that the products you received will have a minimum 6 months of shelf life. Should your product expire prior to 6 months from the date of receipt and you did not have a chance to use it, you may contact our customer service department 2 weeks prior to the product expiry to request a free replacement. Instructions on how to return the product to us will be given to you along with a return authorization number. NOTE THAT WE WILL ONLY AUTHORIZE REPLACEMENTS FOR UNOPENED (SEALED) PRODUCTS THAT HAD LESS THAN 6 MONTHS SHELF LIFE ONCE YOU RECEIVED IT. ANY PRODUCTS THAT EXPIRED MORE THAN 6 MONTHS AFTER THE DATE RECEIVED ARE NOT ENTITLED TO AN EXCHANGE. Expired products shouldn’t be used as the product’s effectiveness might have decreased. The product(s) you’ve purchased might be backed by a 200% DOUBLE YOUR MONEY BACK GUARANTEE. If such should be the case the guarantee information will be shown on the product packaging. If you can’t find any guarantee information on the product packaging then this means the product isn’t backed by any type of guarantee whatsoever. Due to fraud control we do not accept or process orders if the card holder's name is different to the name on the order form. We highly recommend that you print this policy sheet for your own reference.